This brings the total number of overturned cases involving the sergeant to 42. The work of a "corrupt" police sergeant is still being undone in Chicago as 18 more wrongful convictions tied to his cases were overturned. With the 18 vacated convictions announced today, that brings to 42 the total number of cases overturned that involved Sgt. Ronald Watts. All of the cases vacated today were connected connected to convictions following narcotics arrests. "I'm just happy that, you know, I'm able to move forward with my life," said Martez Wise, who spent four years in jail for a narcotics conviction after an arrest involving Watts. "It's been four years out of my life that I have to be away from my family, kids. I mean, I'm not the only one that had to suffer. I mean, they had to suffer too because I had to be away from them," Wise said at a news conference today. Cook County State's Attorney Kim Foxx said her office wants all convictions in the area to be "based on fairness and the utmost integrity." "We could not stand behind of the integrity of these convictions because of the behavior of Sgt. Watts and his crew," Foxx said. "What we know what was happening with Sgt. Watts and the way he ran his operation was that there were many men and women who fell victim to his corrupt ways." 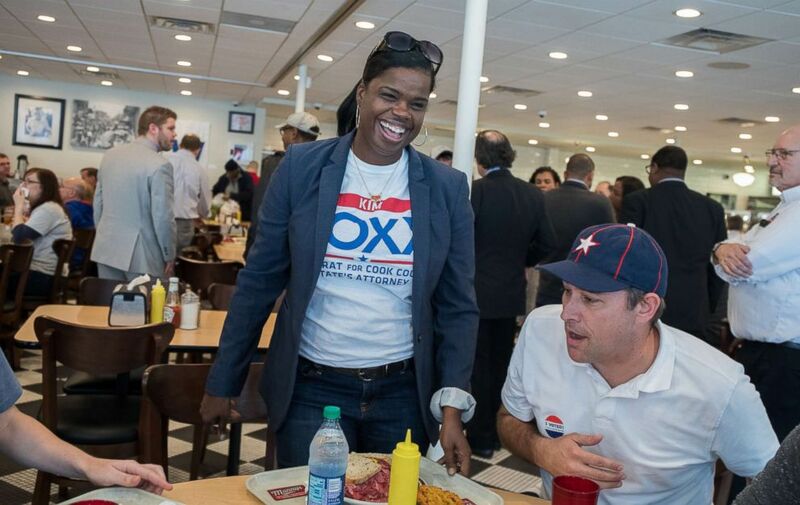 (Zbigniew Bzdak/Chicago Tribune/TNS via Getty Images, FILE) Kim Foxx, candidate for Cook County State's Attorney, arrives for lunch on Tuesday, Nov. 8, 2016 at Manny's Cafeteria and Delicatessen in Chicago. Watts was convicted in 2012 and sentenced to 22 months in prison after he was caught stealing money from an FBI informant in a sting, ABC affiliate WLS reported in 2016, when 15 others had Watts-related convictions overturned. "We must have a criminal justice system that has integrity and credibility," Foxx said. "That means that we have to admit when things have gone wrong and actively work to fix it." The individuals from the latest batch of overturned convictions were given sentences ranging from probation to four years in prison. Both Wise and Mister Pearson, one of the 17 others whose convictions were vacated, said Watts or his team planted drugs on them at the time of their arrests. "I prayed on this day every day ... knowing that one day eventually this day would come," Wise said. "I'm just grateful."